However I'd want to ditch the idea of aiming for profit and purely aim to travel around the world, buying a stereotypical shitbox in every continent at least and replacing it with another when it falls to bits. It doesn't make me want a 1971 Road Runner any less, the 440 4-barrel still packed a punch. I think the 440 six pack (3 two barrels) made more power. Although it was less, there were still some higher hp numbers in 1971. As the 70s progressed, some larger displacement numbers made some ridiculously low hp. Horsepower was calculated in gross back then, which tends to result in a higher number than net. Clarkson, Hammond, and May vs. David Freiburger and Mike Finnegan from Roadkill in a challenge to find some old junk, make it run 12s in the quarter mile, and drive it to an event around 1000 miles away. Edit: Maybe they could go to the Eric The Car Guy meetup. Never heard of Freiburger, Finnegan or Roadkill, but this sounds pretty good. Another USA special where Hammond convinces them (since he's a closet american) to drive through route 66 in cheap 60's cars. Hammond excited like a little boy, May interested in oddities and UFO stories, and Jeremy complaining about the heat and shoddy cars. James' most recent twitter post gave me an idea. Clarkson recently tweeted about being at the Monaco GP, which reminded me of the time he rode a Ducati. 16 years ago, I owned a black 2000 Suzuki Bandit 600s, which provided many hours of excitement and gave me many good memories to look back on. It would be interesting to see what would happen if Hammond and May bought Clarkson an easy bike for beginners, but something that still had enough to forgo moving up to a more powerful bike, as the Bandit was for me. They could then buy Clarkson some gear, and get him better at riding in order to find Britain's best motorcycling road http://www.bestbikingroads.com/motorcycle-roads/motorbike-rides-in-united-kingdom-/united-kingdom-__134.html. That's a good idea. Jokingly, he could be put on a VFR1200. Of course, if they were to do that, they'd have to make sure that he was shirtless, in a pair of shorts, and wearing flip flops. That's not a mental image anybody needs/needed. I do see people riding like that, though. I can't remember, but I think that the VFR1200 has DCT. I was really just joking since the 1200 is way too much bike for a beginner, that he should also wear the outfit of a beginner/someone who doesn't care about self-preservation. That's for Goldwings. The VFR1200 would be a high-viz Arai helmet, Klim, Olympus, Dianese, or Aerostitch gear, and a Sena module on the helmet. Don't get us Sport Touring guys confused with Goldwing and Road King riders. On Road Kings the woman on the back is also usually shirtless. 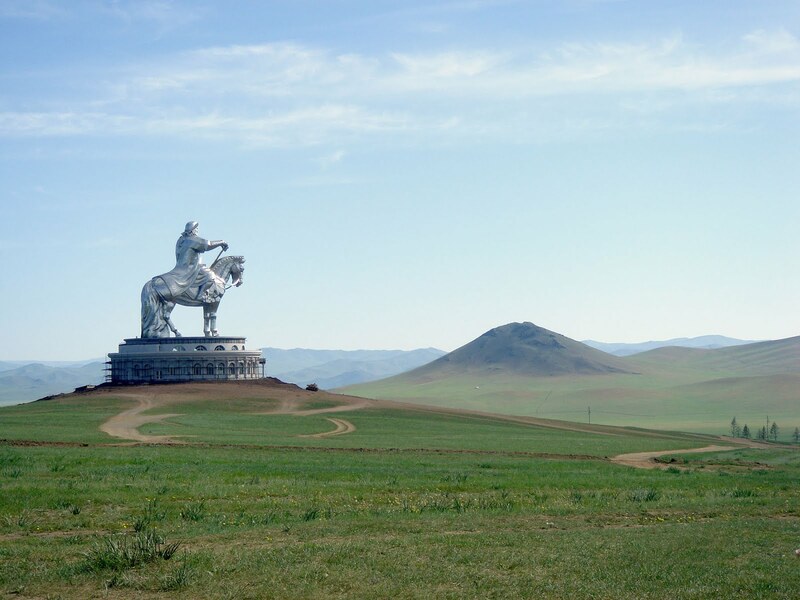 Mongolia seems tailor made for Top Gear - don't know why they've not been there before. There's very few main roads across the country - and you don't necessarily have to drive on them. Many people still live a nomadic lifestyle, so to visit them, you turn off the road wherever suits and drive off-road till you get where you're going. It seems ideal as a great adventure - 1000 miles from Khovsgol Lake on the Russian border to the train depot in Erenhot, where the trains have to have their wheels changed ahead of entering China. You have ?1,500 to spend on a car with an engine capacity under 1000cc. You can't drive within sight of the road, except that you must go through Ulaan Baator, the capital (because the local driving is awful). And apparently Mongolia's antipode is southern Patagonia - so scope for a joke about being as far away from there as possible. I'd like to see a Mongolia special. I think it's a perfect set up. There's very few roads in Mongolia, and it's quite common just to turn off one and drive off-road. So you have a challenge where you've to drive 1000+ miles from the Russian border to the Chinese border. ?1,500 to spend on a car with under 1000cc; I think they've not really been featured before - say an Austin Metro, a Fiat Cinquecento and a Toyota Starlet - and they seem most unsuited to the journey. Once you meet at the starting point - say Sukhbaator - the rule is you can't drive on the road at all, except for going through Ulaanbaator, the capital, which has plenty of fun chaotic driving. I don't know if you need a challenge at the end - Botswana didn't - but if you wanted to bring in some local culture, you could have it following in the footsteps of Chinggis Khan. "Chinggis Khan could cross the entire of Mongolia with 1000 horses in two days; you will now try to cross Mongolia with under 1000 horses in four days"; something like that. Actually, just read about another possibility there during the week - the Bertha Benz Memorial Route, the world's first long-distance road trip, in 1888. Would be interesting to retrace the route talking about the cars of the time (well, car of the time I guess) - essentially delving into the earliest history of the car. Top Gear's done some great historical features, and this could easily be another one. Where do you get fuel for a car when petrol stations haven't been invented yet, for example? Hammond and May should do some kind of farewell segment for this. Maybe it could be combined with my earlier motorcycle idea. I'll drop the motorcycle stuff now.